In June, over on the GamerBoyMedia YouTube channel, they uploaded a video of a Super Mario stop-motion animation cake. Enjoy! 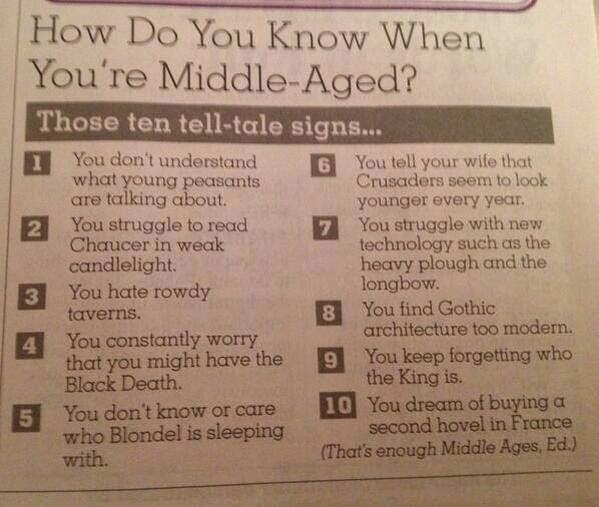 Also, recently posted to Facebook, here are ten signs that you are "Middle-Aged" (source unknown). As a bonus to the Sunday Funnies this week, check out this humorous "404 - File Not Found " error message set up for the Association for Computing Machinery of The University of Illinois at Urbana-Champaign here! It's not CAKE but the page is oddly named as "potato." Be sure to hang on until the end. It's really only a minute or so.